KGK Group this week opened a cutting and polishing factory in Gaborone, Botswana. The new factory is 1000 sq meter facility, which incorporates the latest diamond cutting technologies and has a staff complement of 55 Batswana and 35 expatriates. KGK Group plans to cut and polish diamonds worth an average $1.5 million every year. The opening of the new factory is the sign of the confidence that the company has placed in Botswana as an investment destination. Minister of Minerals, Energy and Water Resources, Kitso Mokaila, said the opening of KGK factory shows that even though the diamond industry has been going through challenges in Botswana, there is still hope and confidence in the sector. 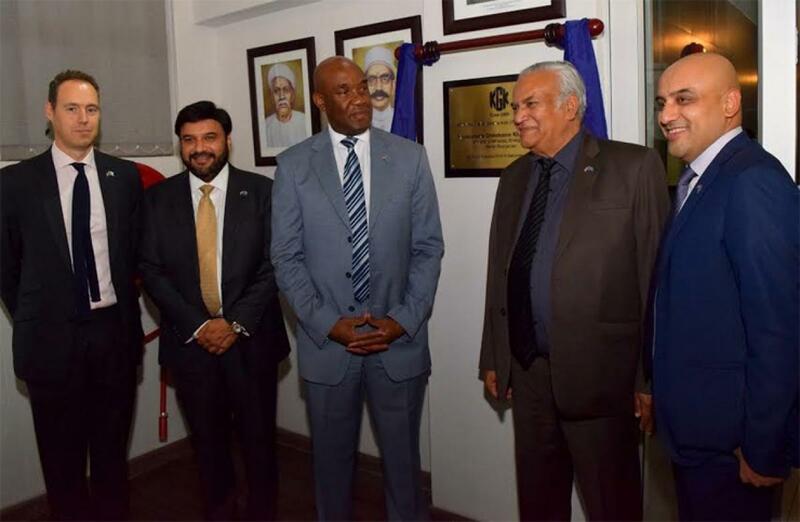 “Opening a factory under the prevailing diamond business environment demonstrates not just commitment and self believe by owners of KGK, but also a long-term approach to business,” Mokaila said. He added that the company’s current workforce of 90 Staff members in Botswana would grow to 150 and beyond this year. The KGK group, whose core business is the manufacturing of polished diamonds and jewellery as well as retailing, is listed on De Beers website as a company operating in 15 countries including establishments in South Africa, Russia and India, with over 100 years experience in Diamond industry.